Most of the articles are password protected. Ask the librarians or your teacher for it. The timely topic of obesity is examined thoroughly from the past point-of-view all the way to predictions for the future. Covers as why we need food, what is a balanced diet, sources of energy, protein, fat, vitamins and minerals, it also explores the impact of food on conditions such as diabetes, vegetarianism, allergies, eating disorders and how to establish a healthy eating lifestyle. These FAQs introduce the issues and concerns teenagers have about keeping healthy in an unhealthy world. This book looks at issues including food labelling, school lunches and the debate surrounding green and ethical eating. What's your idea of a perfect meal? Sushi? A large piece of cake followed by hot chocolate? Even if it satisfies your appetite, it's unlikely to fulfil all your nutritional needs. 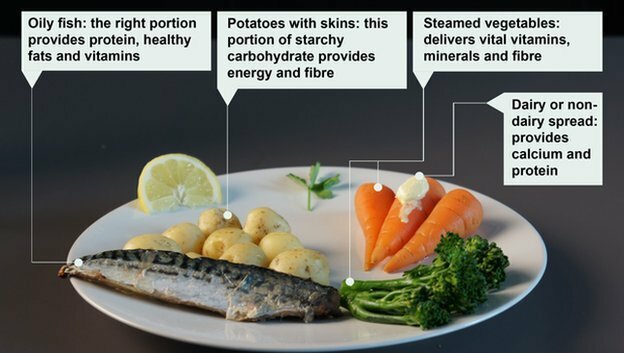 BBC Science : Healthy eating: Is this the ultimate healthy meal? The amount and type of food you eat has a major influence on your health. If you eat a well-balanced diet, it can reduce your risk of various diseases as well as help you to maintain a healthy weight. There are certain times when it can be particularly important to make sure that you follow a healthy diet, for instance, if you want to lose excess weight or if you’re watching what you eat because you’re pregnant. However, it’s important to eat a healthy diet throughout your life, no matter what age you are – there’s never a bad time to make some changes and improve your eating habits. What's in a healthy diet? Why are we so unhealthy?